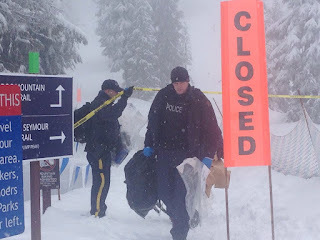 The Georgia Straight is reporting that "North Vancouver RCMP are investigating what happened to two men who were found stabbed on Mount Seymour. On February 1 at 5:09 a.m., an injured male hiker on Dog Mountain Trail on Mount Seymour called 911 for help. Emergency Services found him on a trail about one kilometre from the Mount Seymour parking lot and took him to hospital. Then at 8:30 a.m., Emergency Services received and responded a call from a second male hiker in the same area, who also needed medical help due to similar injuries. RCMP stated in a news release that both of their injuries were knife wounds resulting from an altercation, and that both men were known to each other. 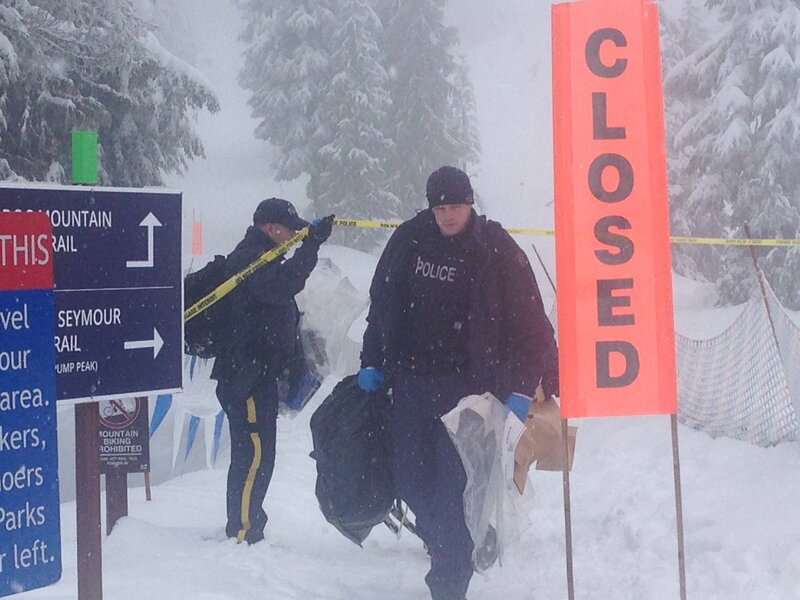 At a press conference, RCMP stated that the two men had been camping together." Global is reporting that one of the injured people was known to police. When I first saw the report I was like, WTF? That's the trail I always hike on. This time of year it's covered in snow so they had to have been showshoers. Only it was on Dog mountain not the longer trail up to Seymour first, second and third peak past Brockton Point. I always skip Dog Mountain. they went camping in the snow and cold only to stab each other? I'm sure there is a story here, but one does have to question, why go to all that trouble just to stab each other, find a comfortable warm hotel or something.